There is so much to do this weekend, and you have no excuse not to get out there and join the fun! Whether you&apos;re looking for a good music scene, family friendly fun, or more cultural events, this weekend will not disappoint! Friday starts the Countdown to Kickoff, which is the ultimate UGA football fan experience. The weekend provides fans with unique opportunities to golf, take pictures, get autographs, catch passes, run drills, and play games with some of their favorite UGA football players in the NFL, legends from the past, and the current UGA football team. On Friday, the Celebrity Dawg Golf Classic lets you join Georgia Greats, Coaches, and Players for a golf outing like no other. 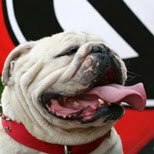 It&apos;s held at UGA&apos;s own championship course, so you can test your skills on the links as you spend 18 holes with some of Georgia Football&apos;s finest athletes. On Saturday, Kids Fan Day at the UGA Football Practice Fields lets fans of all ages can get up close and personal with their favorite Dawgs. NFL Dawgs, Georgia football legends, and the 2009 team will all be on hand to run drills, play games, throw passes, sign autographs, and take pictures with college football&apos;s greatest fans. You certainly don&apos;t have to be a kid to have fun at this event! For the more mature and music loving Athenian, Saturday offers multiple live music events at different places around town. 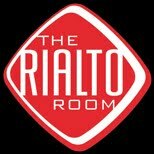 At the Rialto Room at Hotel Indigo, the Go Green Music Series presents Lorrie Morgan in Concert. Tickets are $49.50, which may seem a little steep, but Lorrie is an established Country Music singer that any country fan would love. Since her number one hit single "Trainwreck of Emotion" in 1989, Lorrie has charted more than 25 hit singles on Billboard&apos;s country music chart. In addition to it being a great musician at a great venue, the concert will benefit a good cause as a portion of the proceeds will benefit the Athens Land Trust and Oconee River Land Trust. There are also some cool shows going on at the Melting Point, 40 Watt, and New Earth Music Hall. The Summer Classic Movie Series continues all weekend long, and this weekend marks the premiere of a new movie (in English), Days of Heaven. It sounds like a great movie, and you can view the synopsis here. Every week in July and August Ciné will screen a different classic film on the big screen, and this film won multiple awards in 1979, including an Oscar for Best Cinematography, as well as nods for Best Music, and Best Sound! Ciné is always a great choice when you&apos;re looking for a low key night, and the Summer Movie Series gives all the more reason to go! Days of Heaven will be shown at 7:30 p.m. on Friday, then at 5:45 p.m. Saturday - Thursday.